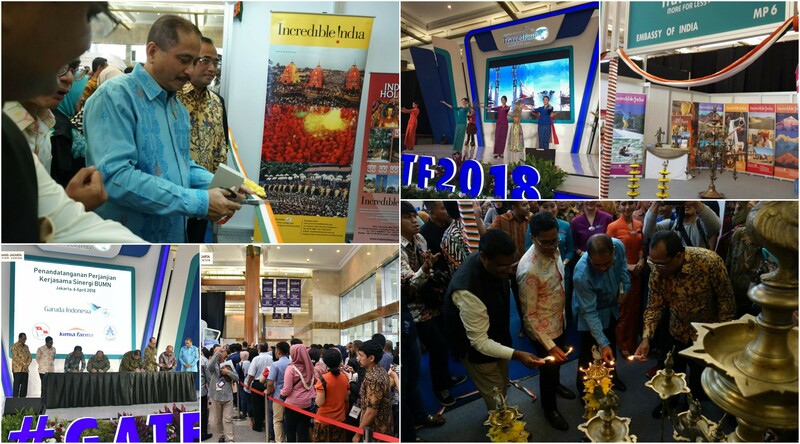 Indian Embassy in partnership with Garuda airlines put on display an Incredible India Pavilion at the prestigious Garuda Travel Fair 2018, which was jointly inaugurated by the Minister of Tourism of Indonesia H.E. Mr. Arief Yahya and the Minister of Transportation of Indonesia H.E. Mr. Budi Karya Sumadi on 6 April 2018. 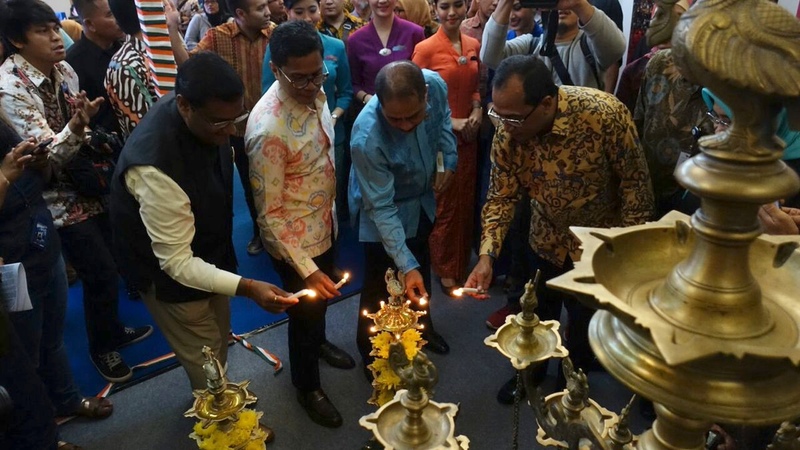 It may be noted that the Garuda Travel Fair is one of the leading travel exhibitions hosted in Jakarta annually and is expected to witness a footfall of more than 6000 prospective tourists on a daily basis till 8th April. While addressing the gathering, Hon. Minister of Tourism Mr. Arief Yahya announced commencement of direct flights by Garuda Airlines on Bali-Mumbai sector on 23rd April 2018. He emphasized that this could be the first direct flight between the two close maritime neighbours. Embassy of India, using its own resources, put on display at Incredible India pavilion, publicity material and brochures and travel to various places in India, in particular, Islamic heritage tourism and the Golden Triangle. Several travel agents specializing Indonesia and India sector also participated in the trade fair.